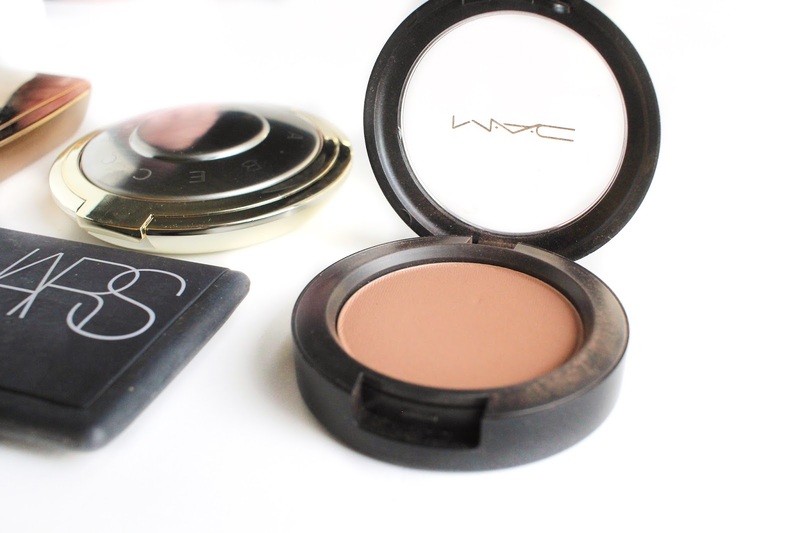 MAC Blush in Harmony | If you've been a long time reader of my blog, then you already know this is my go-to blush (maybe even my favourite ever). On the MAC site, it is described as a muted rose-beige brown. I never go a week without using this blush. This is the first one I reach for to put into my travel makeup bag whenever I need to. 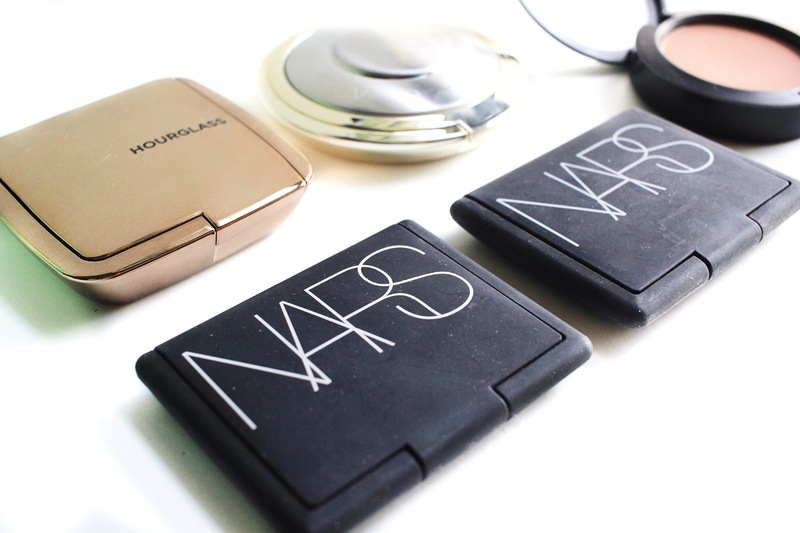 Nars Blush in Dolce Vita | I've been using this a lot lately as well. It's a gorgeous dusty rose shade. I purchased it last year and it sort of found it's way to the bottom of my stash. But after the little clean out I did last month, this bad boy resurfaced and hasn't gone back in my makeup drawers since. Nars Blush in Doucer | I believe this was my first blush from Nars ever and I was so obsessed with it. Just like the other Nars blush, it found it's way to the bottom of my collection but was brought back into the brightness. 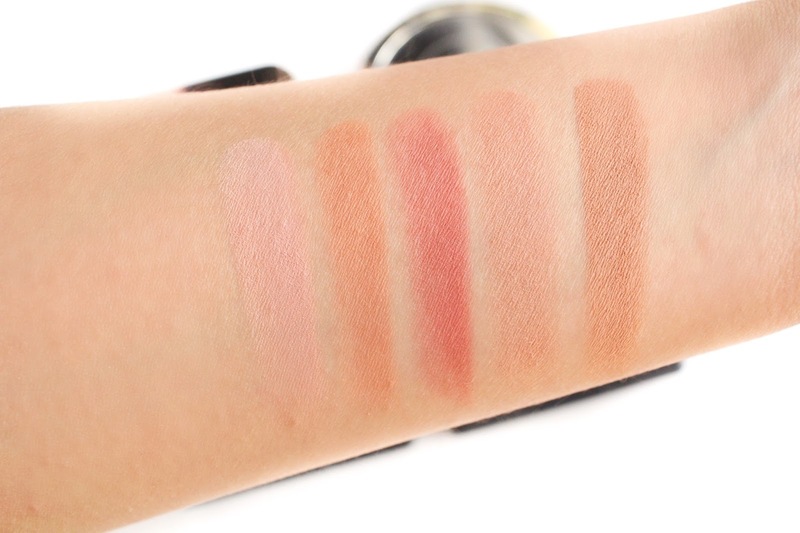 It's a nice skin tone looking blush with a hint of pink. Unfortunately, I believe this is discontinued as I couldn't find it on Sephora or the Nars website. Becca x Jaclyn Hill Blush in Amaretto | The newest addition to my collection is this beauty! I have the Becca x Jaclyn Hill Face Palette, but I loved the Amaretto shade so much that I decided to pick it up in the split pans. It's a bit similar to MAC Harmony but more on the orange-y side. I'm glad I have this in a little compact that makes it easy to travel with. 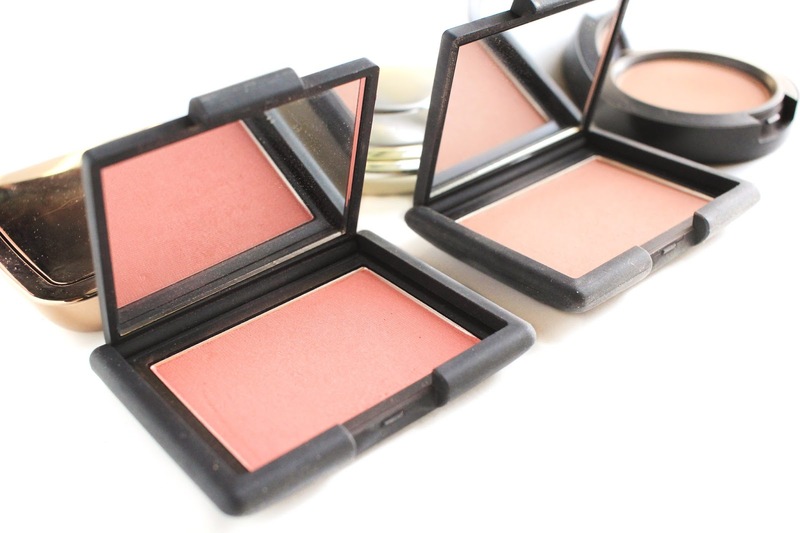 Hourglass Blush in Mood Exposure | Lastly is the blush that just about every beauty blogger has been talking about. I picked this up during the Sephora sale (see haul here) and have been swooning over it ever since. It's such a pretty light pink blush and I have been loving it! L-R: HG Mood Exposure, Becca Amaretto, Nars Dolce Vita, Nars Doucer, MAC Harmony. 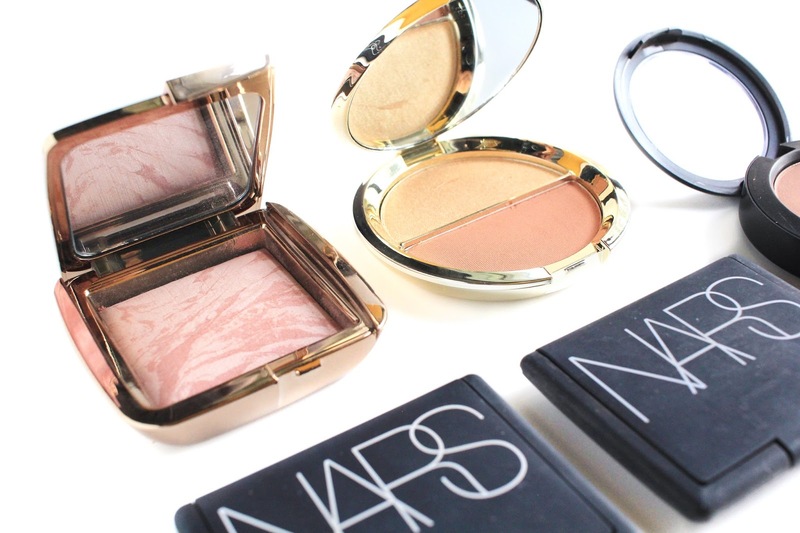 What type of blushes to you usually gravitate towards?